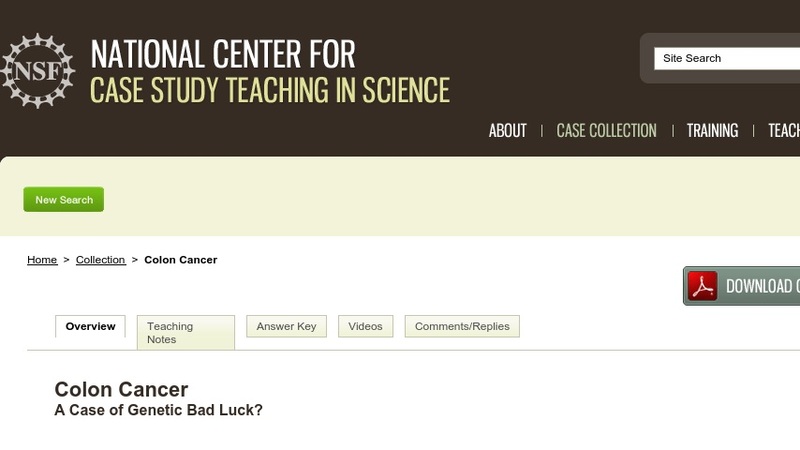 Colon Cancer A Case of Genetic Bad Luck? In this case, developed for an introductory genetics class, students meet a woman whose family has a history of colon cancer. Students create a pedigree based on information from the case and discuss what it means to be genetically predisposed to cancer. Using bioinformatics tools from the NCBI database, students identify and examine the mutation in the woman’s APC gene that results in genetic predisposition to colon cancer. Finally, they investigate the biological function of the APC protein to understand why this mutation contributes to the development of cancer and determine whether APC is a proto-oncogene, tumor suppressor gene, or genome stability gene.